Avenue Car Rental & Leasing , subsidiary of subsidiary of Right Motor W.L.L, has been specially set up in January 2009, having a fleet of over 400 Sedans, Hatchbacks, SUVs, Pick-Ups, Mini-Vans and Buses to offer you a completely hassle-free and highly convenient experience when it comes to renting & leasing cars. Whats more, you can be assured of getting hold of a range of top quality and comprehensively insured sedans, hatchbacks, SUVs, pick-ups, mini-vans and buses at the most flexible rate structure with great value built into it. Our rates are inclusive of unlimited mileage, personal accident insurance for each passenger, 24/7 replacements, free maintenance with option of an experienced chauffeur, if you so desire. And the greatest thing of all is that you dont even have to visit any of our outlets to collect your vehicle. 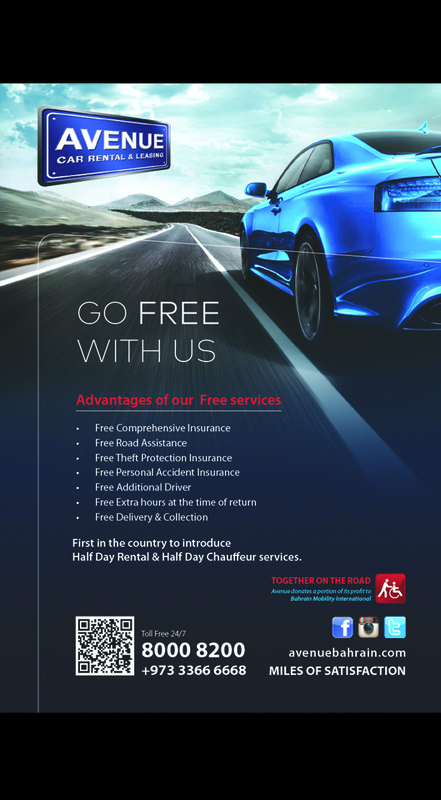 We offer free delivery right at your doorstep-anywhere in Bahrain! If you would like to know more about how you can take advantage of Avenues rental and leasing solutions, contact us by visiting our locations or calling on +973 17369222. alternatively writing to info@avenuebahrain.com.